Hi, Good Morning. Thank you friends, and viewers. 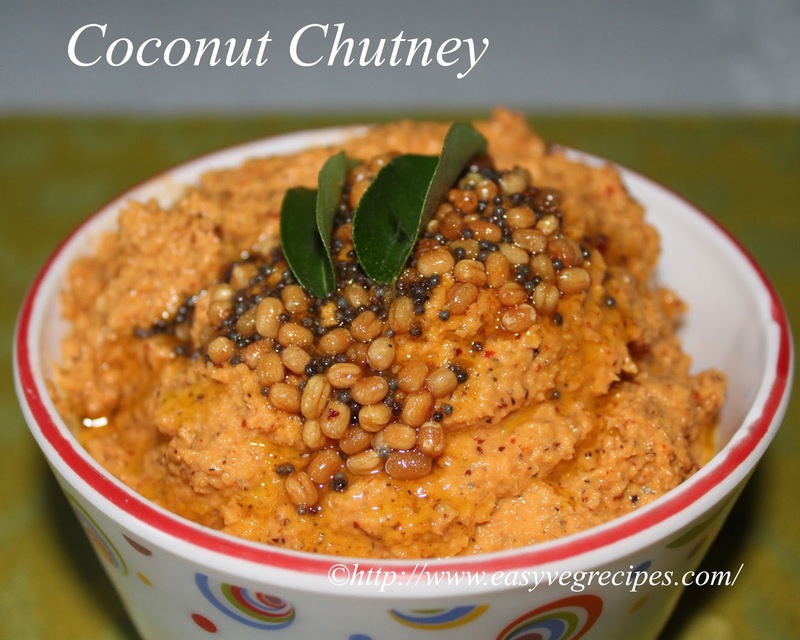 Today I will post how to make fresh coconut chutney recipe. The coconut chutney which I am presenting now should be served only with rice. It is a very famous dish among Andhra Brahmin families. It has it's respectful place in every small occasion and family get-together because making it is very easy and simple. The first chutney I learned is this. There is no process of cooking is involved in it, only preparing tadka i.e. tempering. 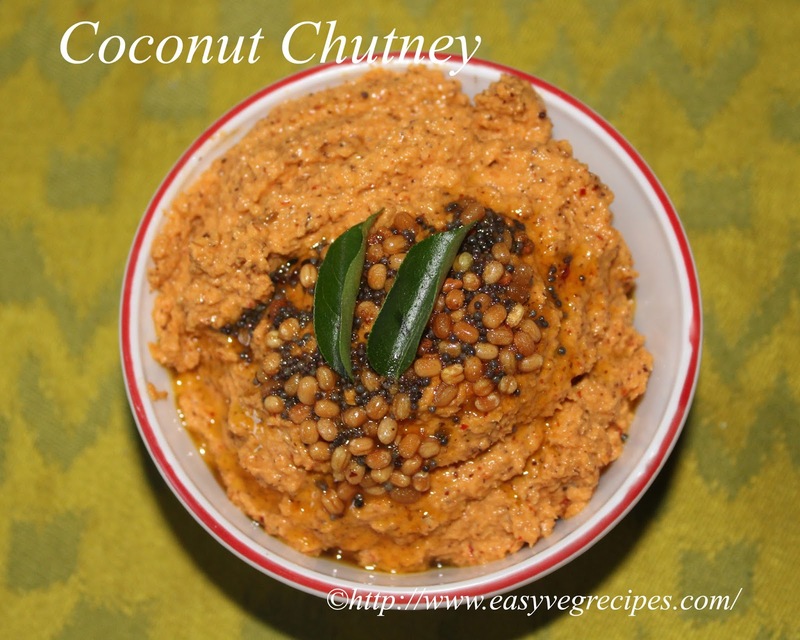 For making this chutney, get fresh coconut from store and break it into two halves. Take out the flesh from the hard shell and chop it or grate it using grater. Of course, we get coconut powder in the grocery stores but that will not give good taste to the chutney. We need to spend some time to make tasty and delicious dishes like this. Coconut Chutney -- simple accompaniment for rice. Break coconut into two halves, separate the flesh from the hard shell. Chop it into small pieces. Heat oil in a kadai, add mustard seeds, black gram and fenugreek seeds. When they start spluttering add red and green chillies and asafoetida. Saute a while and switch off the flame. Add chillies, half portion of tempering in a blender jar, add salt and tamarind pulp. Blend this to make coarse powder. Add chopped coconut pieces to it and again blend it to make crumble. Add water to the above chutney and blend it till it become smooth paste. Take out the chutney from jar and mix it well, add the remaining tempering to it. Serve fresh coconut chutney with hot piping rice and a dollop of ghee on it. For more chutneys/pickles/powders click here.Thank you for visiting my blog. Hope you liked all my recipes. Any feedback and comments are appreciated.